Concluded 12 May 2018, Phillips, in Association with Bacs & Russo completed the much-anticipated Daytona Ultimatum sale in Geneva. The mythical unicorn Rolex Daytona reference 6265closed the sale at a remarkable US$5.9 Million – knocking the Rolex reference 6062 “Bao Dai” out of its position as the former took the status of second most expensive Rolex to be sold publicly. 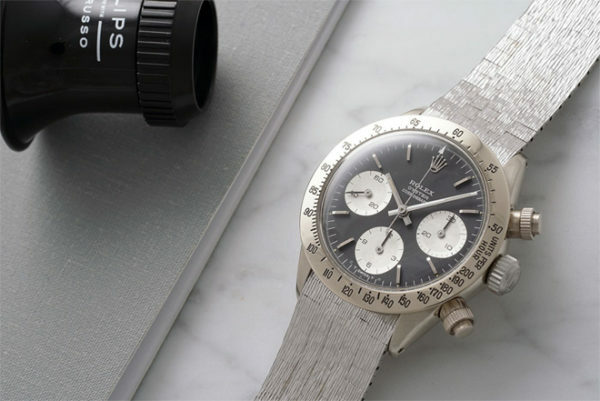 “It is truly a holy grail piece … the only manually wound, vintage Rolex Daytona made in white gold,” said Paul Boutros of Phillips in Association with Bacs & Russo. The astounding results from the auction come as the least of a surprise for many reasons. In 1971, at a time where the majority of Daytona were crafted in stainless steel for robust everyday wear, the Rolex Daytona ref. 6265 is uniquely crafted in 18 carat white gold. The one of a kind watch also features a black “sigma” dial with white gold indexes. It is a model so rare that most people in the industry had never heard of until John Goldberger had acquired the watch in 2013. It was then that the white gold Daytona was nicknamed the “unicorn” for its mythic uniqueness. Thus, when Goldberger has decided to part ways with the timepiece in an effort to raise money for charity – Children Action, the legendary white gold reference 6265 Daytona attracted famed collectors from all over the industry, including Kevin O’Leary, star of “Shark Tank” to bid at the auction house last weekend. 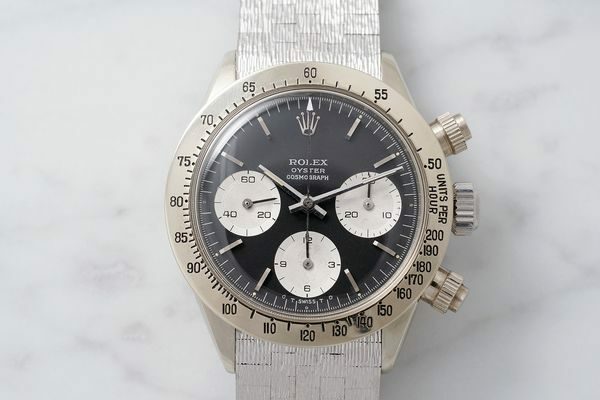 While the Paul Newman Daytona still currently holds the record for the most Rolex expensive wristwatch ever sold at auction, the unicorn reference 6265 Daytona blew way past the estimates that Phillips had initially hoped for at US$3 million. The auction comes at a unique period of time in the industry where vintage watch values have been taking off, it’s no longer just Rolex watches but Omega and Breitling as well. The last time there was a million-dollar Daytona was in 2013 during the Daytona-themed sale Christie’s Rolex Daytona “Lesson One,”. What takes the cake is this is for a good cause.